How to Post Images using Photobucket, Flickr, etc. We received a private message asking how to post images using Photobucket, Flickr, or other third-party image hosting services. I'm posting the answer here to share with everyone on the site. In the "URL" field, add the direct link URL of the Photobucket, Flickr, etc. image. Then click "OK". This will add the image directly into the post. 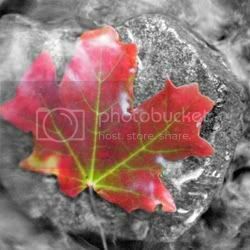 So as an example, I copied the following URL from Photobucket (https://i876.photobucket.com/albums/ab330/Featured_Page/Fall%20Hub/redlea...) and then I pasted it in the URL field. After clicking "OK" the image is shown in the post. Hope you find this helpful. How is it done without a third party. I think Dr G posted the method I will attempt it. Click the "Browse Server" button from the picture above then upload an image from your computer.